Electric blender in 50's design, matching the iconic Smeg kitchen appliances of the 50' retro style collection. 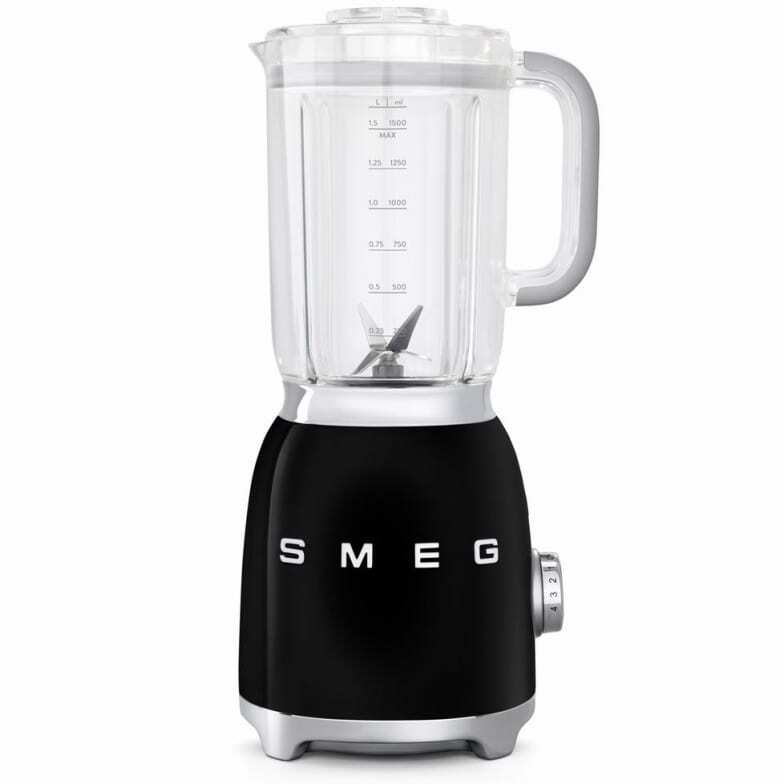 The blender is the latest addition to the iconic '50s retro look design kitchen appliance collection of SMEG, which also includes toaster, food processor and electric kettle. With a unique diecast aluminum housing and a super lightweight BPA-free 1.5-liter jug of Tritan, convinced the BLF01 blender with its 800-watt motor and provides a maximum speed of up to 18,000 rev / min. for a maximum mixing performance. Detachable stainless steel double blade (suitable for ice). Do you have a question about "BLF01"? How can we contact you?